He was a legendary cricketer, a successful philanthropist and one of the most famous celebrities in the country. He entered politics and could not repeat his success of other walks of life in thorny world of politics. Now, He has become a person who wants power at any costs, He propagates a false narrative about Terrorism in the country, He has become a collection of contradictions in his personality. He is Imran Khan and he is the man who has failed himself. In an interview in 1995, Imran Khan said that Politics is not a world for people like him and he doesn't want to enter it. He was right then and if he had stuck to that belief then he would have been an undisputed hero of Pakistani nation today. Unfortunately, He changed his belief about politics and formed his own party in 1996. Since the beginning, people in huge numbers turned up at his rallies. However that never translated in electoral success till 2013 elections. Imran Khan was the leader of one man party till 30th October 2011 when everything changed. How this changed took place suddenly and was there any role of General Pasha in sudden rise of Imran Khan is another issue. Imran Khan then became champion of Change and announced to bring revolution in Pakistan through ballot. In 2013 elections his party lost to PML-N, although there is a big question mark on legitimacy of that election still his loss has proved to be a blessing in disguise for people of Pakistan because of Imran Khan’s polices and incorrect understanding of core issues. Imran Khan has turned out to be a vigorous supporter of Taliban. He vehemently propagates the false narrative that terrorism in Pakistan is reaction of drone strikes and war on terror. He believes in taking no action against Taliban and let them go scot-free with whatever they do including deadly bomb blasts which kill dozens of people each time. There are several other politicians, intellectuals and activists who share the same beliefs but its Imran Khan who has main-streamed the support of Taliban mindset. This mindset is devastating for the survival of the country at the present juncture. Imran Khan closes NATO supply route to protest drone attacks but he is completely silent when Iran violates the sovereignty of Pakistan and continuously fire rockets in Pakistani territory. Imran Khan supposedly cares for the drone victims but he is mum when it comes to the people who are suffering in Balochistan for years due to oppression of the state. He is all in all a confused person who has taken the wrong line on security matters just to pave the way for his entry into corridors of power. The politics, attitude and behaviour of Imran Khan are an interesting story of double standards and hypocrisy. Recently, Imran Khan’s party sent a defamation notice to the columnist Cyril Almeida because He had written a column against Imran Khan titled The Man who sold Pakistan. Imran Khan sued a columnist who metaphorically blamed Imran for selling Pakistan. On the other hand Imran Khan never misses an opportunity to blame others for receiving dollars. He blames ANP for receiving dollars to sell blood of Pakhtoons, all columnists and journalists who criticize Imran Khan, end up being blamed as CIA sponsored stooges. Even Imran Khan called the members of Senate People available for sale. As a reaction, senators have tabled a privilege motion against him in senate. The children of Imran Khan are receiving liberal education in England and his government in Khyber Pakhtunkhaw has introduced a new syllabus with radical Jihadi undertones in it. 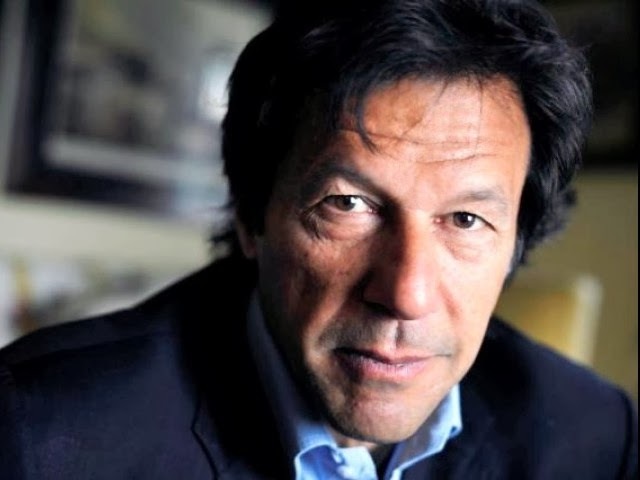 Imran Khan intensified his political campaign in late 2011 on two points. One he claimed to have a party comprising of honest individuals who have never done any corruption. Second point was that He has never been in power whereas PPP and PML-N have ruled the country numerous times. So after the landmark political rally of 30th October 2011 many opportunists, so-called electable and seasonal political birds joined the ranks of PTI and Imran Khan welcomed them without any problem. Now his party is dominated by turncoats of PPP and PML-N. He called the PML government in Musharraf era the coalition of the crooked and now He has embraced the same crooked politicians. Imran Khan is the prime example of how a person can discard his principles to gain political benefit. PTI at the moment rules the terrorism wrecked province of Khyber Pakhtunkhaw. Some political Pundits believe that Imran Khan was trapped in accepting the government of Khyber Pakhtunkhaw by Nawaz Sharif. According to them Nawaz Sharif did this to expose the failure of Imran Khan’s party to effectively govern and in next elections Imran Khan can’t claim that he has never been tested before by voters. The performance of PTI in Khyber Pakhtunkhaw is below average and under present circumstances no one can do better until the menace of terrorism has been controlled. The terrorist friendly polices of Imran Khan have facilitated the terrorists rather than stopping them from terrorism. The only positive point that Imran Khan still has is that his rivals PPP and PML-N are ruled by couple of families and are corrupt to the core. This will do no good to Imran Khan because in Pakistan people don’t vote based on track record of political parties. Exposure of Imran Khan as a national level leader and his flawed policies has made him a controversial figure and now he is no different than Nawaz Sharif and Asif Zaradri. If Imran Khan didn't bring drastic changes in his behaviour and policies, He will end up as a black chapter in history of Pakistan politics.